Kindles, eReaders and Kobos are fine by me; they'll never replace the excitement of browsing books in a shop or the smell of dusty pages and ink. Unless they come up with some sort of Star Trek holodeck arrangement to simulate it which seems tons more effort than popping along to peruse your local bookshop. The books I picked up this week are a random bunch - part childhood nostalgia and part burgeoning collection (Observer's Guides!) with a curious copy of Flowers From Shakespeare's Garden thrown in. These found a home on my bedroom windowsill due to severe overcrowding on the bookshelves downstairs, I'm at serious risk of drowning in a sea of books - I dread to think what I'll be like at 70. I had better pen a few bestsellers or find a priceless vase at a car boot so I can afford a place large enough for a library! The biggest bargain of them all was the Disney version of Alice in Wonderland for the knockdown price of 10p! 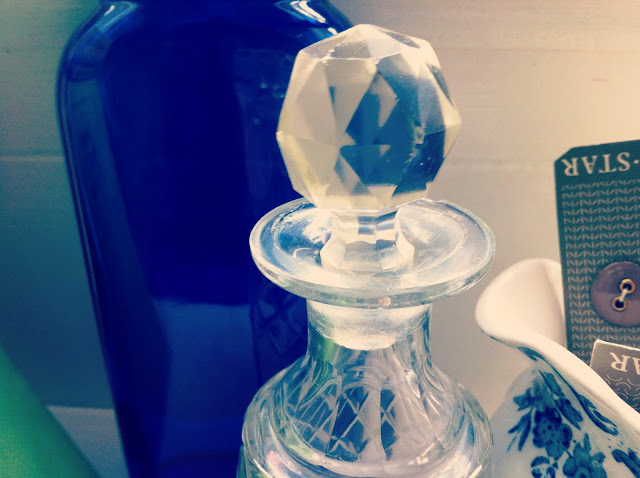 The blue and white fetish struck again - came home with the little blue and white cream jug on Wednesday then picked up the blue glass bottle at the Saturday market for 50p, the glass perfume bottle with the Crystal Maze-esque stopper needs some colourful bubble bath poured into it I think. 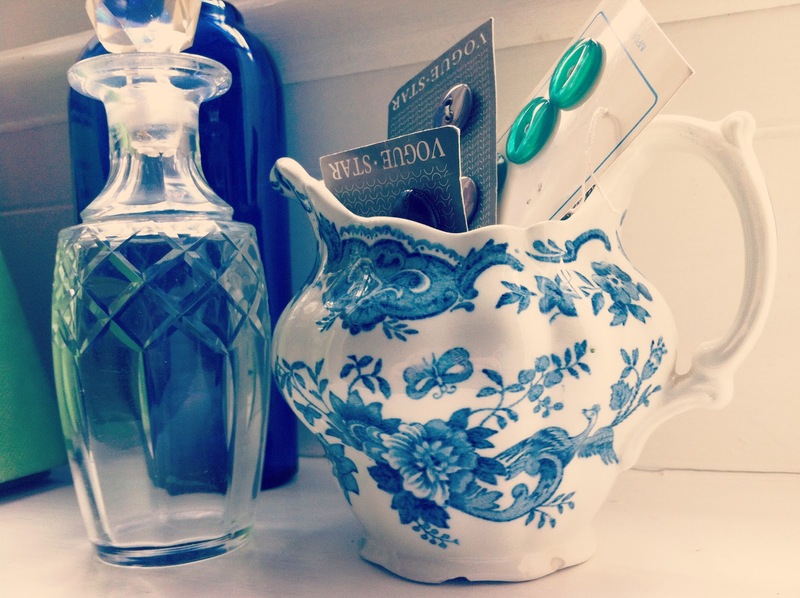 The teacups and cards of vintage buttons were my final thrifty finds and I'm one of those people who never seem to come across vintage haberdashery loveliness so I was keen to snap those up - especially the emerald green buttons poking out of the jug! Whatever you're up to this bank holiday I hope you're having a great weekend clutterbugs! Love how you store your buttons - that is a neat idea and makes a show out to them too which they well deserve. I grew up with a couple of the observation books - trees and another for wild flowers, they have some incredibly detailed drawings in them. hope you have a lovely weekend, Jem! You find the most wonderful things, i kind of hate you ( in the nicest way). You must be surrounded by the lovliest charity shops and bootsales to find such beauties...yep, I definitely don't like you!!!!! Hehe. 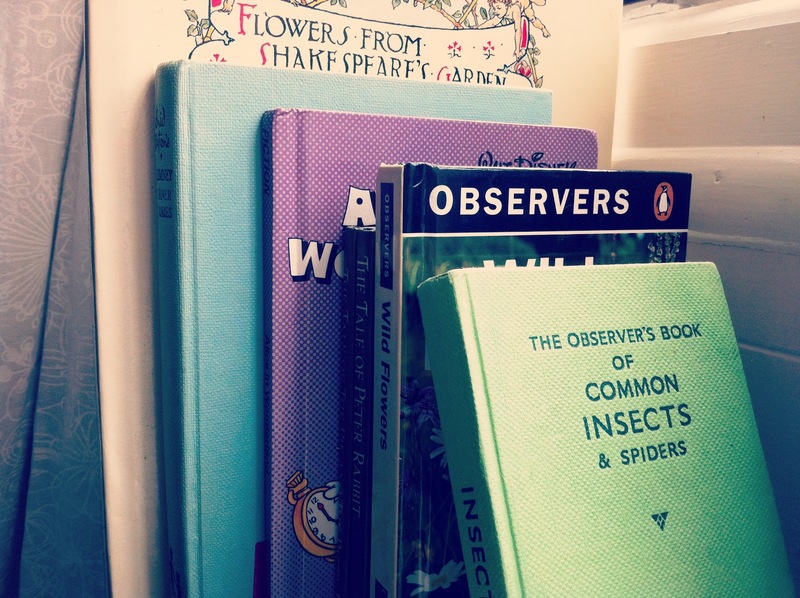 Observer books, now your talking-i love em. I'm desperate for the observer book of trees so if you get a double up on that one i'll do a swap with you! You'll have a library room one day, and it'll be beautiful. 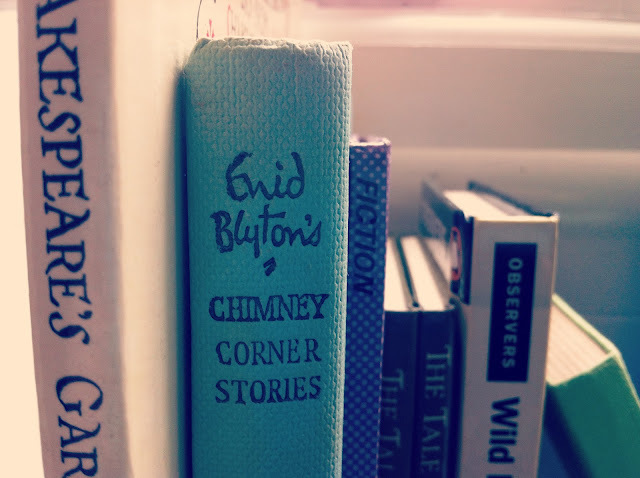 I can almost smell those books, they belong together in your home. I never seem to find much in the way of buttons and embellishments - I'm always on the lookout for craft projects. Yesterday, I made a very cheap and cheerful birthday gift for a friend; 78p for 4 candles, I put them in a £1 vase and decorated the vase with washii tape. Add a £2 candle holder, handmade card, and I think it made a very pretty present. Have a lovely book-sniffing bank holiday. 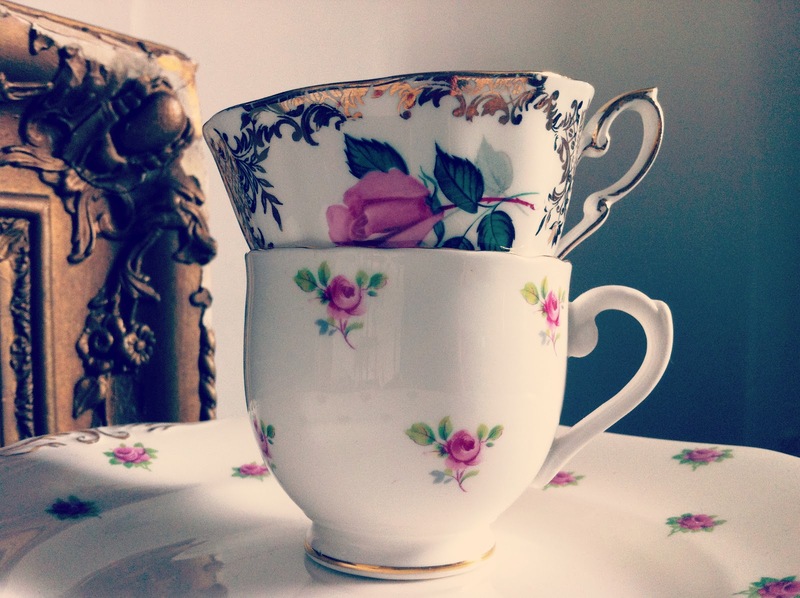 Beautiful finds, love the books and the rose tea cups, have a lovely Sunday! Old books, teacups and lovely glass bottles all beautifully photographed... my idea of a perfect blog post. I remember a few years ago coming home from university for the weekend to find my mum had given away all of my Observers books. So wish I had them now! I agree - I love old books! You just never know what you are going to find between the pages! Oh, you know which book I would love!!!! That insect one - whoo too! 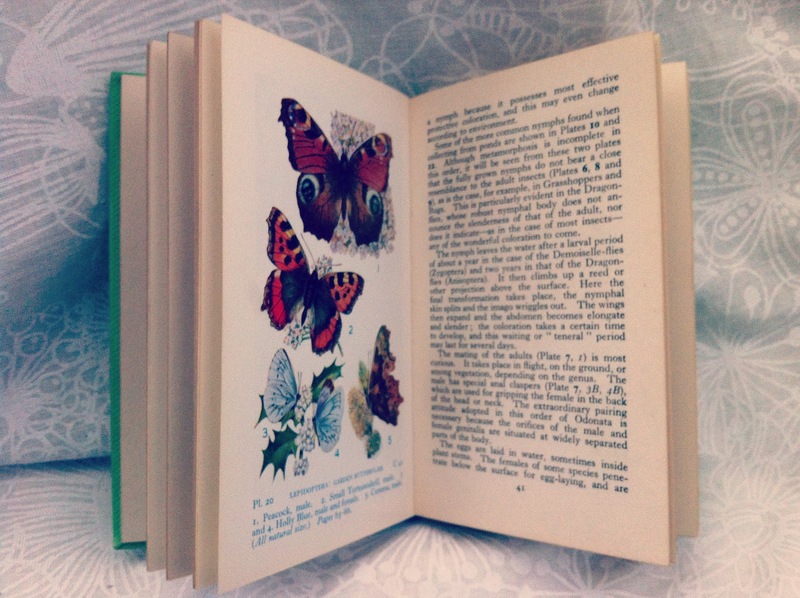 One of my favourite books is my 'nature omnibus' which I had as a child - I remember how magical I thought the idea of collecting, drawing and learning about nature was!!! I still use this book for art inspiration. Hope you are super duper Jem! 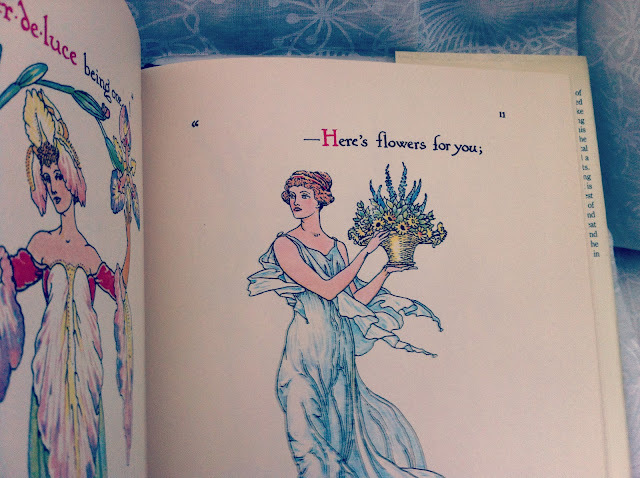 The Shakespeare's flowers book is lovely, with such beautiful illustrations, if you like that style, check out Kate Greenaway, a Notts lady and Edwardian illustrator, my mum has a lovely illustrated book of children's nursery rhymes. Just love your treasures. I love 'real' books as well..just love the look and feel of them. 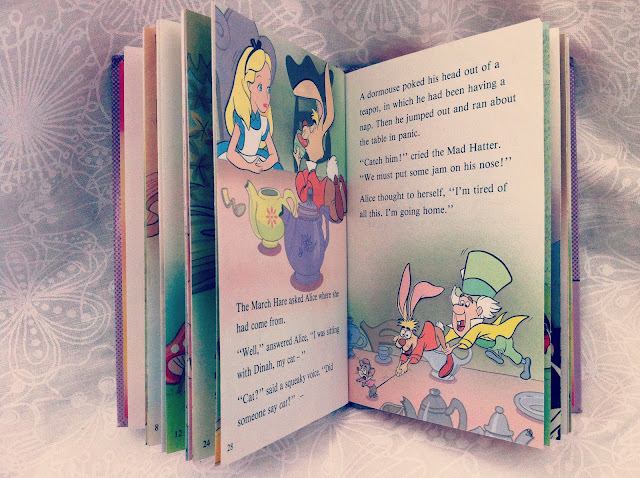 You sure found some lovely ones..I love the Alice and Wonderland one (It is one of my favourite stories growing up). The teacups are so pretty! These are lovely. I love real books too - I could never own a kindle. I went to a summer fete last year and picked up a collection of Beatrix Potter books. Old, cozy books are so lovely. Lovely! I love the convenience and space-saving quality of my eReader, but it doesn't change the fact that I still love beautiful old books. I can't wait to live in a bigger space so I can have ALL of my books with me. 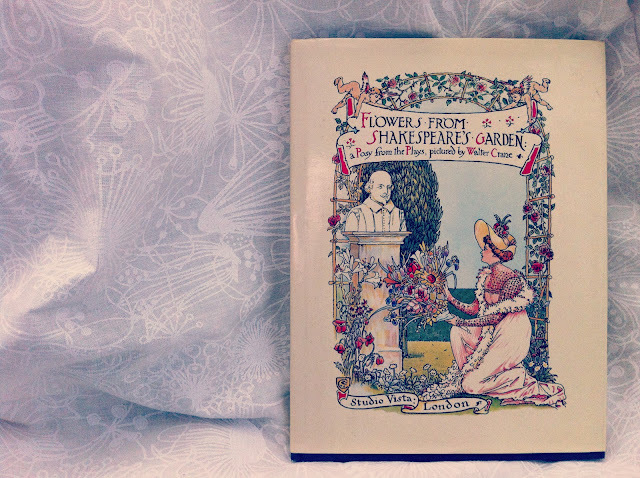 I want the 'Flowers from Shakespeare's Garden' book! It looks beautiful, and I remember owning and reading that version of Cinderella as a child, seeing these books has brought back some happy childhood memories! what a lovely post! lovely photos! Hi Jem, Just popped by your blog to say Hi and thanks for the lovely comments you left on mine. I am now going to spend the rest of the evening browsing through your blog. I already know I am going to love it! I always love seeing all your little treasures! I think I need to find more "beautiful" books that also serves as a decoration :) love it! you are a woman after my own heart - i also love books and cannot imagine parting with most of mine. they are like friends. i also feel i need to write a best seller to feed my habit - and i love a good cuppa tea and wet weather - it's pouring here on the west coast of Canada as i write this. 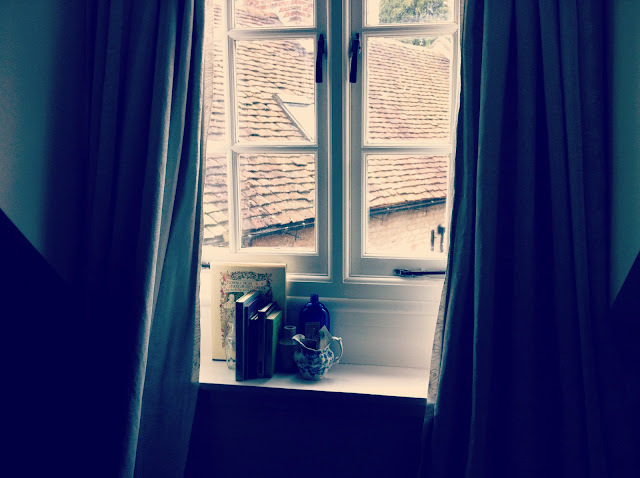 It's Victoria Day, so hubby and i spent this lovely holiday in bed, with books and crosswords and tea and each other. a perfect day. i found you via apron thirft girl - so happy i did.